What produce are in season in fall? And what are the healthiest options? 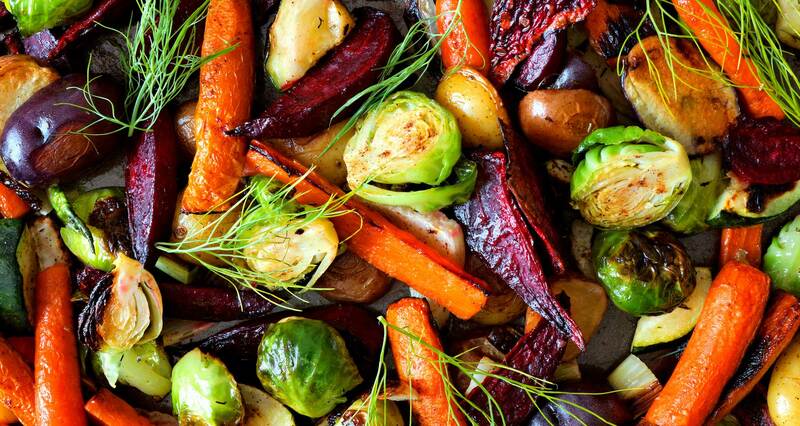 Check out the top fall fruits and vegetables that are packed with health-boosting nutrients. For many people, fall is the season of brisk breezes, cozy sweaters, and going back to school. But it’s also the time of harvest, and it brings an abundance of fresh foods that grew all summer and are now ripe and ready to enjoy. Fall fruits and fall vegetables are not only delicious, they’re also packed with nutrients your body needs to keep your immune system strong before temperatures turn chilly. Why Choose Fall Fruits and Vegetables? Thanks to global importation, most fruits and vegetables are available in supermarkets year round. So why should you seek out seasonal produce? There are many benefits to choosing fall produce! In fact, seasonal fruits and veggies are often better for your health, the environment, your taste buds, and your budget. When fruits and veggies are eaten in their proper season, they are more nutrient dense because they have matured on the plant, rather than being picked early. And they are more likely to be locally grown (which is good for your health and your local economy). 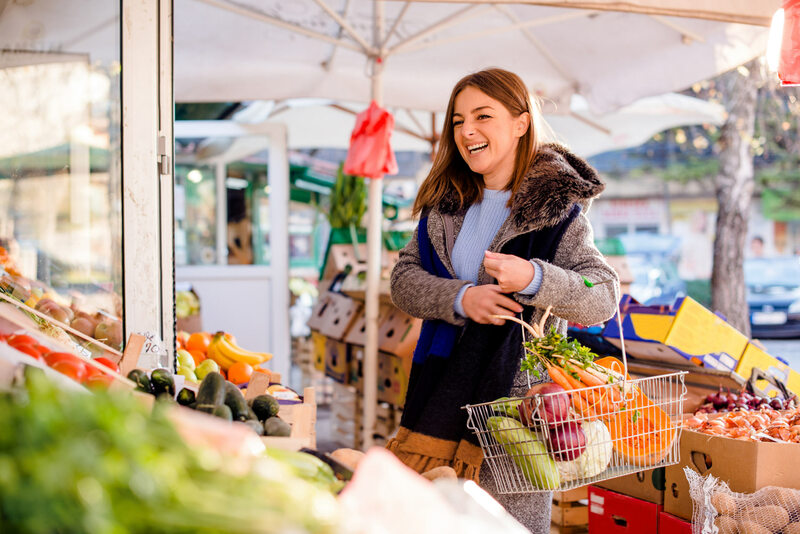 Speaking of the economy, fruits and vegetables are likely to be at their best price in the fall, so you’ll save money by sticking to what’s in season. And seasonal eating can be good for the environment because it reduces water use, land use, soil degradation, and pollution. What’s more, eating seasonally adds more variety to your diet and keeps things interesting, so you don’t get bored. And there’s taste, too. An apple freshly plucked from a tree will be much tastier than one shipped thousands of miles or left in cold storage for months. With their wonderfully warm orange and deeply hued purple colors, sweet potatoes — perhaps the healthiest type of potatoes — are a fantastic fall vegetable to add to your meals. When it comes to nutrition, sweet potatoes have anti-cancer, anti-diabetic, and anti-inflammatory properties. The longest lived people in the world, the traditional Okinawans, get more than 50% of their daily calories from sweet potatoes. 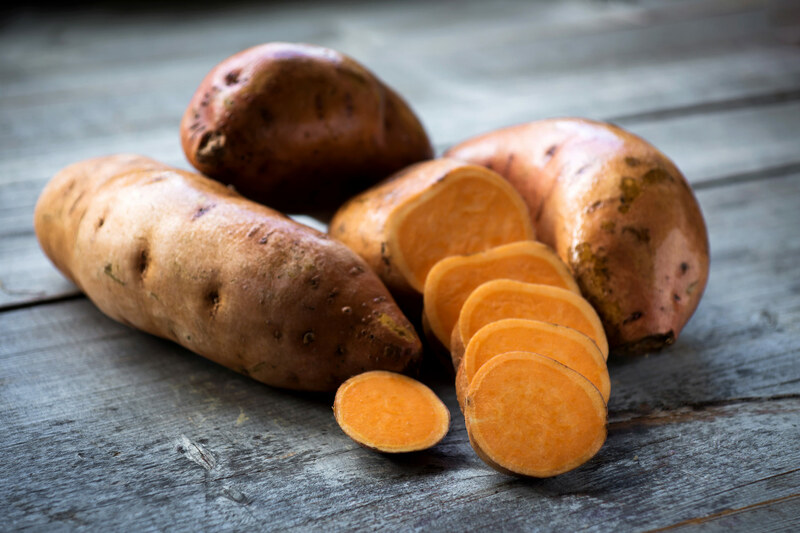 A 2009 paper published in The Journal of the American College of Nutrition attributes much of the Okinawan people’s low rates of disease and longer life expectancy to their nutritionally dense diet, including their high intake of sweet potatoes. Okinawan sweet potatoes are notable for their brilliant, purple colored flesh, which indicates that they are very high in antioxidants, particularly the antioxidant known as anthocyanin. This is the same pigment that gives blueberries, red grapes, and red cabbage their color, and their stunning antioxidant power. All varieties of sweet potatoes are packed with vitamins A, C, B6, B5, potassium, and manganese. They are also a good source of copper, dietary fiber, and iron. And all varieties of sweet potatoes have been shown to improve blood sugar regulation and to have important antibacterial and antifungal properties. Sweet potatoes are semi-tropical plants that grow in relatively balmy climates around the world. In the U.S., they typically grow in warmer states, such as North Carolina, Mississippi, California, and Tennessee. Store sweet potatoes in a cool, dark place (not the fridge because chilling them can lead to a hard center and unpleasant taste), and aim to use them within three to five weeks. Want some mouthwatering recipes featuring sweet potatoes? Start your morning with this Spicy Sweet Potato Hash or enjoy Southwestern Stuffed Sweet Potatoes for lunch or dinner. Bright red (and golden) beets boast a whole host of nutritional benefits — as do their green leaves! 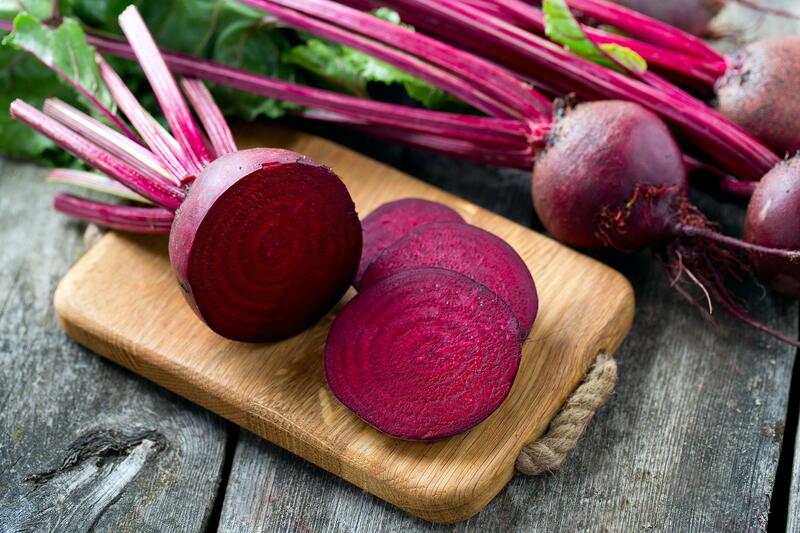 Beets have a long history — in fact, they were grown by Thomas Jefferson at Monticello. Beetroots have many nutrients your body needs, including vitamin C, folate, vitamin B6, magnesium, potassium, phosphorus, manganese, and iron. They’ve been shown to help with muscle fatigue, infections, liver damage, heart disease, and even radiation exposure. Beet greens are also packed with vitamins and minerals. They can be prepared like spinach, Swiss chard, or kale — steamed, in salads, sauteed, and even added to smoothies. These fall vegetables can grow in a wide range of regions, though they are at their best and sweetest in relatively cold climates. To store beetroots optimally, cut the tops off, wash them, and keep them in an open container with a wet towel on top. It’s best to eat the greens soon; but if you need to store them for a few days, keep them in an airtight container with a small amount of moisture. Try beets in this Beet Cabbage Borscht recipe from Plants Rule. These little green gems might not rank high on your list of favorite foods, but the right recipes (and not overcooking them!) can make them addictively delicious. Why the moniker? 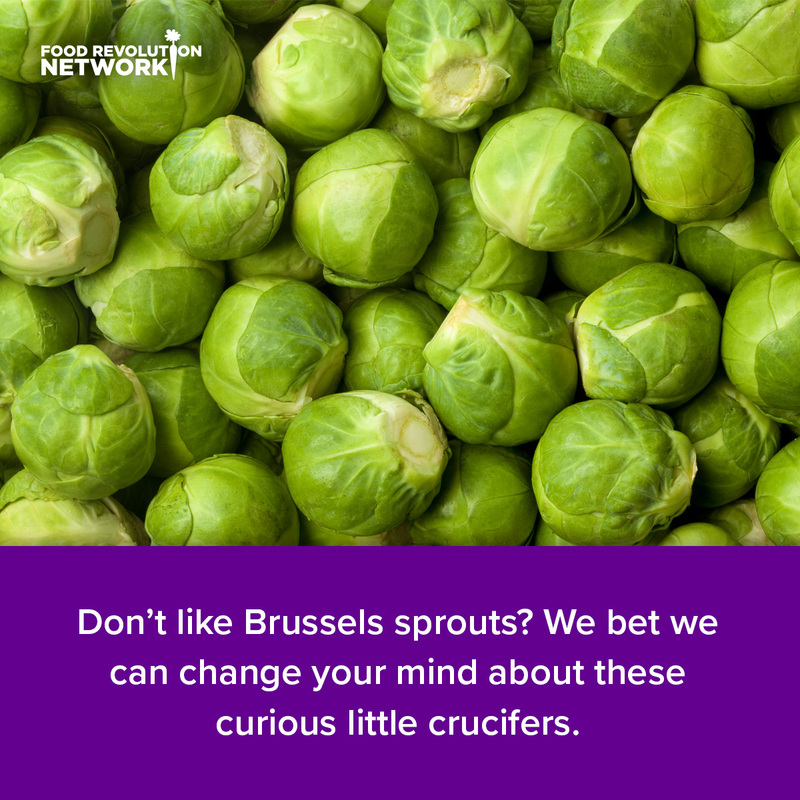 Because they were cultivated in Belgium (whose capital city is Brussels) in the 16th century. 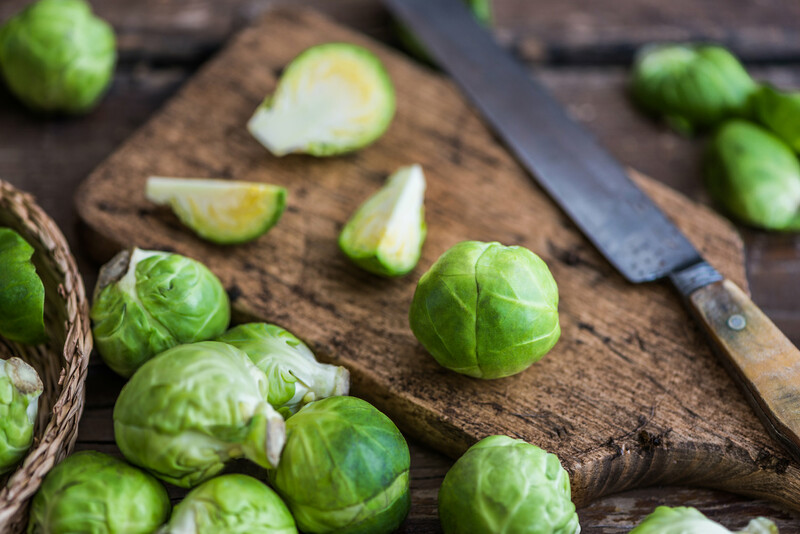 Grown on large stalks (you may find them this way in some stores), Brussels sprouts are extraordinarily healthy and like other cruciferous veggies, boast stunning levels of phytochemicals, vitamins, minerals (including lots of vitamins C and K), and fiber. They also help fight cancer, lower cholesterol, promote weight loss, and keep your bones strong and healthy. Most Brussels sprouts in the U.S. are grown in California, with some cultivated in Washington and New York. The Netherlands and Germany lead the way in European production. If purchased on the stalk, leave your Brussels sprouts intact in the fridge or another cool place. If cut, it’s ideal to keep them in an open container with a damp towel on top. Chop them up and create this Brussels Sprouts Salad with Apples and Pecan from Katie Mae at Plantz St.
You’ll find these fall fruits almost everywhere in the fall. And it’s a good thing! Pumpkins are rich in fiber, beta-carotene and other antioxidants, protein, magnesium, and potassium. And these squash help boost your immunity to keep you well, cleanse your liver, keep your eyes and skin healthy, reduce inflammation, prevent cancer and type 2 diabetes, and are a heart-healthy choice. Because of the thick skin on pumpkins, they can be intimidating if you’re unfamiliar with how to prepare them. 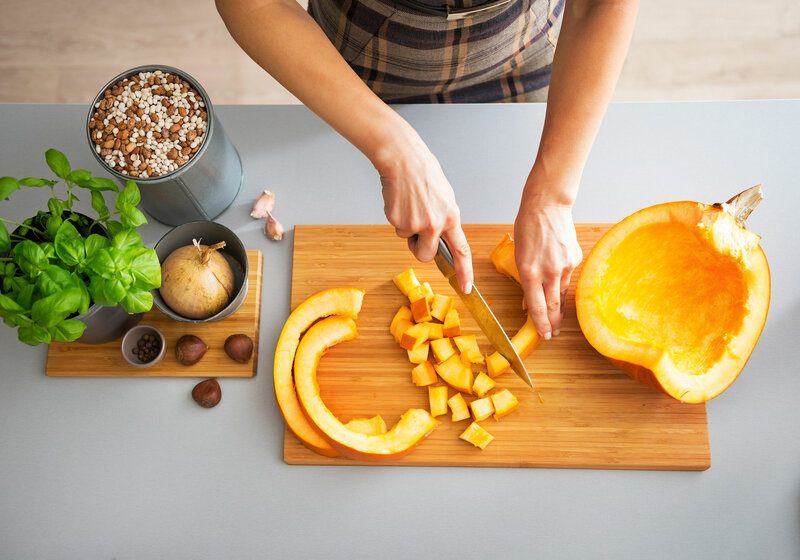 Here’s what to do: Cut the pumpkin in half; use a spoon to remove the seeds; cut in half again; remove the stem and the base; peel the pumpkin with a vegetable peeler; and then cut it into cubes, and use it in a variety of ways. Pumpkins are mainly grown in the U.S. in Illinois, Ohio, Pennsylvania, and California, as well as Mexico, India, and China. You can store uncut pumpkins and winter squashes, such as butternut squash, in cool, dark places for months. But once cut, the flesh should get used right away. Find some great, healthy pumpkin recipes at the end of this article here. And don’t forget the seeds! Enjoy this Sweet and Salty Roasted Pumpkin Seed recipe from Eating by Elaine or for a sugar-free alternative, simply place the seeds in a single layer on a cookie sheet and roast them in the oven at 160-170°F for 15-20 minutes. Butternut squash is a type of winter squash that has a sweet, nutty taste similar to a pumpkin (which makes sense because they’re in the same family). It’s another great way to add beautiful and nutritious color to your meals. Butternut squash is high in antioxidants, including vitamin C, boosts your immune system, helps prevent and fight cancer, keeps bones healthy, and aids in weight loss. Butternut squash also has thicker skin. You can try trimming the ends off, peeling off the skin, scooping out the seeds, and then cutting them up into smaller pieces. This fall fruit is primarily found in the U.S. (particularly in Michigan), though it’s also grown in Europe, Australia, and other countries worldwide. They’re called winter squash because they store well and can keep throughout the winter. Store and cut them like a pumpkin. You can substitute butternut squash (or any other winter squash) for any recipe that calls for pumpkin. One delicious way to enjoy butternut squash is this recipe for Fall Vegetable Moroccan Tagine from Plants Rule. Another remarkably healthy cruciferous vegetable, cauliflower is rich in fiber, antioxidants, and choline — an essential nutrient that protects cells and DNA — which many people aren’t getting enough of. 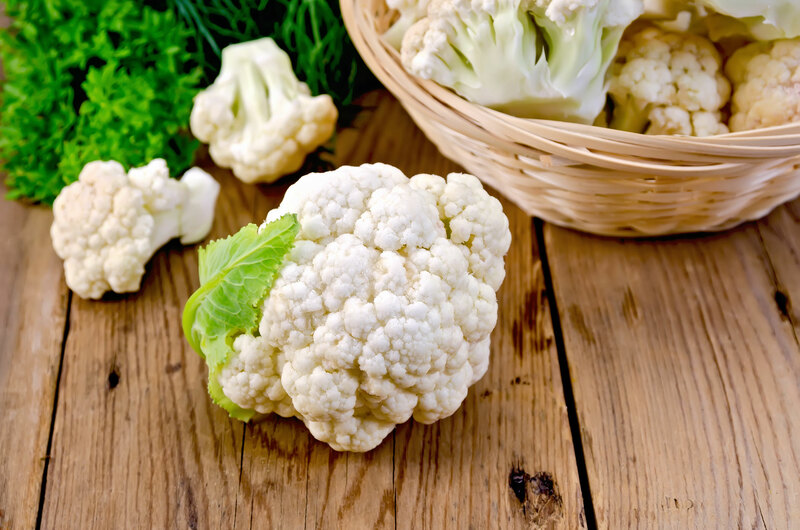 Cauliflower has been shown to help counter the effects of air pollution, reduce autism brain inflammation, prevent gout attacks, boost immune function, aid in breast cancer survival, and more. In the U.S., most cauliflower is grown in California, though it’s also cultivated in Arizona, New York, Florida, Michigan, Oregon, Texas, and Washington. As far as storage, keep your cauliflower in a closed container in the fridge, but eat it as soon as possible because it tastes best when fresh. Try this recipe for Cauliflower Fried Rice from Plants Rule or this warming Indian Cauliflower Lentil Stew from Garden Fresh Foodie. You can also use it to make pizza crusts, creamy, plant-powered sauces, and other inventive dishes. This brightly-hued, purple vegetable is botanically a fruit and is another versatile choice. Rich in antioxidants, particularly anthocyanins (which explain its vibrant color), it helps protect cells against free radicals, and it’s been found to assist in preventing heart disease and diabetes, maintaining blood sugar control, and providing you with plenty of fiber. In the U.S., eggplants are mostly grown in Florida, New Jersey, California, Georgia, and Oregon. China, India, Egypt, Iran, and Turkey are also major producers of this purple plant. 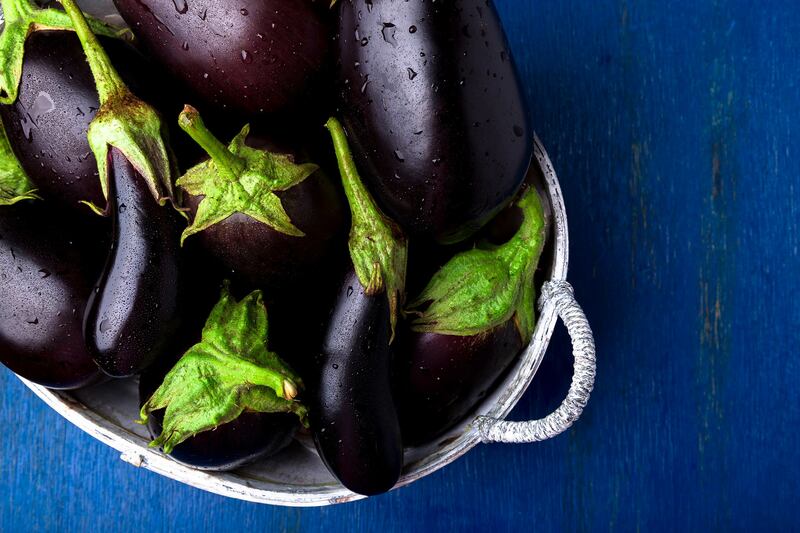 You can leave your eggplant out in a cool room, but for longer-term storage, leave it loose in the fridge. Just be sure not to wash it ahead of time because moisture hurts the freshness factor. Dig into some eggplant (also known as aubergine) with this recipe for Sardinian Stuffed Eggplant from Plants Rule. Kale is rightly becoming known as a nutritional super-star. It’s one of the lowest calorie, most nutrient-dense leafy greens, so it’s an excellent way to load up on your vitamins and minerals. It’s great year-round, but it’s at its peak in fall and winter. 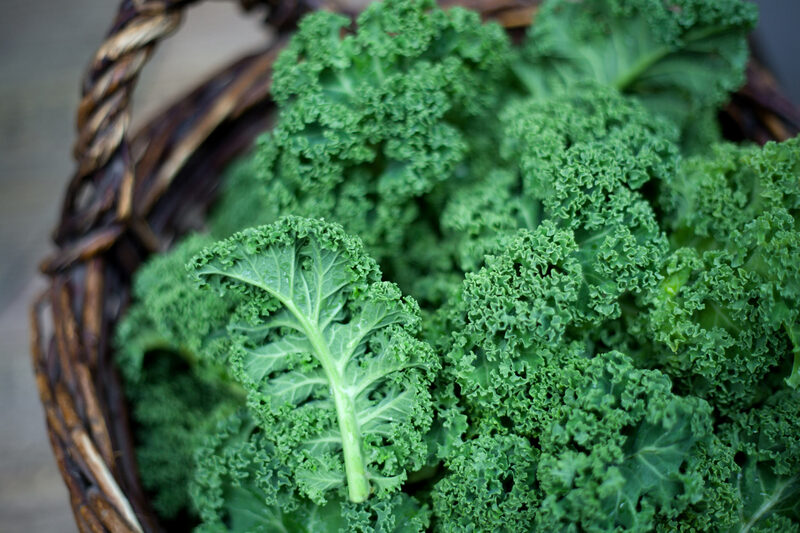 Kale has protein, fiber, and antioxidants, including beta-carotene and vitamin C, lutein, and polyphenols. In fact, it’s one of the top 10 cancer-fighting veggies. And it’s also great for your gut. Kale is known for its hardiness (so think about growing your own! ), and it can survive modest snowfall, making it one of the best veggies to plant in mid-summer and eat right into the winter. As with other greens, it stores best with rubber bands or ties removed and then kept in an air-tight container with a damp cloth. You can also keep kale in a cup of water on the counter or in the fridge. If you live in a temperate zone, apple picking is traditionally a favorite fall activity. Who doesn’t love bringing family and friends for all the apples you can eat? And with thousands of varieties to choose from, you can find everything from tart to sweet. Apples are rich in antioxidants, fiber, and phytonutrients. 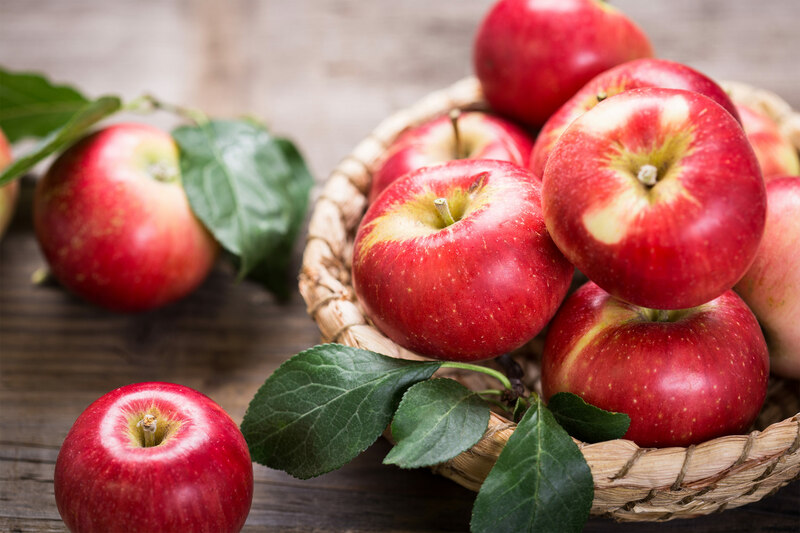 A 2011 review of research on their health benefits published in the journal, Advances in Nutrition, concluded that apples could help reduce the risk of cancer, cardiovascular disease, and asthma. 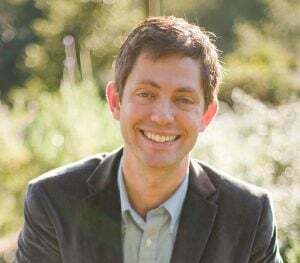 Researchers also noted that they could improve outcomes related to Alzheimer’s disease, cognitive decline of normal aging, diabetes, weight management, and bone health. To help them last longer, keep your apples cool. Your refrigerator’s crisper drawer is the best storage spot. Eat your favorite apples as daily snacks or try them in a recipe like this Easy Unsweetened Applesauce or Baked Stuffed Apples from Plants Rule. Editor’s note: These fruits are on the EWG’s Dirty Dozen list, which includes the produce with the most pesticides. Therefore, it’s prudent, if possible, to choose organic apples. And always wash your produce properly. 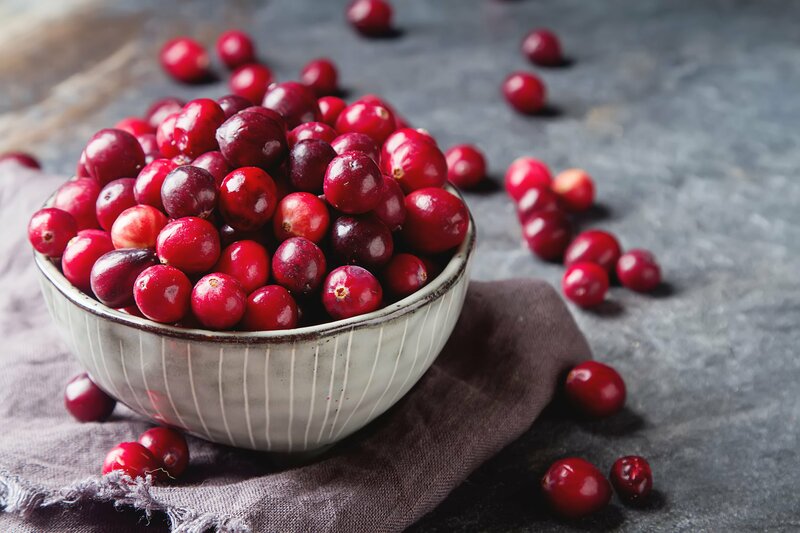 Cranberries are considered one of the world’s healthiest fruits. These tart berries — cultivated in giant, eye-catching marshes — are known for their ability to reduce the risk of urinary tract infections, help prevent cancer, boost the immune system, help with anti-aging, cleanse the liver, and lower blood pressure. It’s best to opt for organic cranberries because some farmers use toxic chemicals to cultivate the fruit. To store them, keep them refrigerated in a covered container. Or freeze them! Try fresh berries in your smoothies, oatmeal, granola, or try the recipe for cranberry juice in this article or this 5-minute Cranberry Relish from Chef AJ. While we’ve covered some of the most common and good-for-you fall fruits and vegetables, there are plenty of others that are harvested in autumn. What’s in Season in Your Area? Keep in mind that the selection of fruits and vegetables will vary based on where you live. The United States — Use this online seasonal food guide to search by state, season, and fruit/vegetable to see what’s in season. Or check the USDA for lists by fall/spring/summer/winter. Canada — Check out this handy guide to see what’s in season. Australia — This online seasonal food guide shows you which fruits and veggies are in season by region. The United Kingdom — This online database tells you what’s best to eat by the week based on your current season. With the holiday season approaching, now is a great time to adopt healthy habits and enjoy healthy, whole-foods to keep your body well. Shopping for fall vegetables and fruits and finding a few recipes you love is a great place to start! What are your favorite fall fruits and vegetables? Do you have any healthy fall recipes you want to share? Proven health benefits of pumpkins: 9 truly healthy pumpkin recipes that taste delicious!